In the cold winter months, any self-respecting lady or gentleman might keep warm with a pair of leather gloves and/or a nice wool scarf, so it follows that Greats’ latest shoe release would implore these stylish folk to do the same when it comes to their feet. 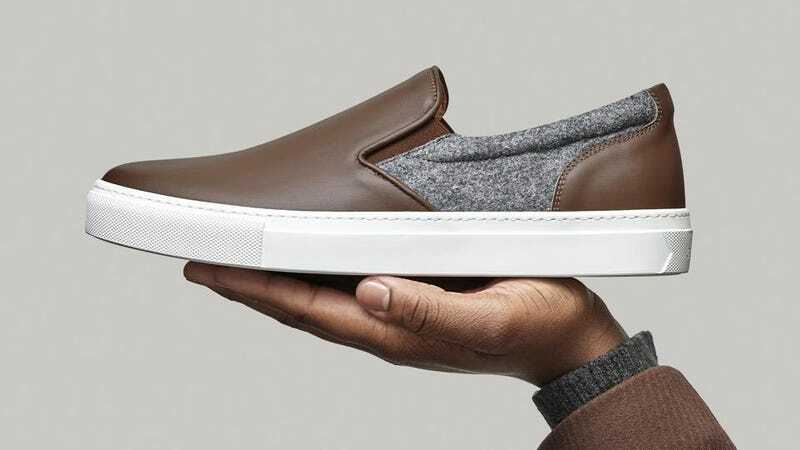 The new Wool Wooster is a particularly good-looking slip-on sneaker that was made for serving cold-weather style. While it features the same classic silhouette as the brand’s regular Wooster, along with the fine Italian leather you’ve come to know and love from Greats, The Wool Wooster boasts the addition of a seasonally appropriate wool side panel. The shoe comes in two color combinations for men — a brown leather-grey wool and a black leather-grey wool — and for women — a black leather-beige wool and a beige-on-beige option. Each version is neutral enough to match practically any outfit, not to mention classy-yet-casual enough to wear for practically any occasion. At $169, The Wool Wooster is by no means a cheap slip-on, but it is a Great(s) slip-on.